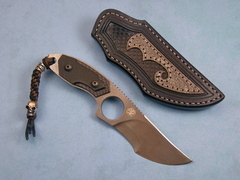 Oleksander Bogdanovich makes great integral knives. This is his model "Phantom II" and it is # 10. 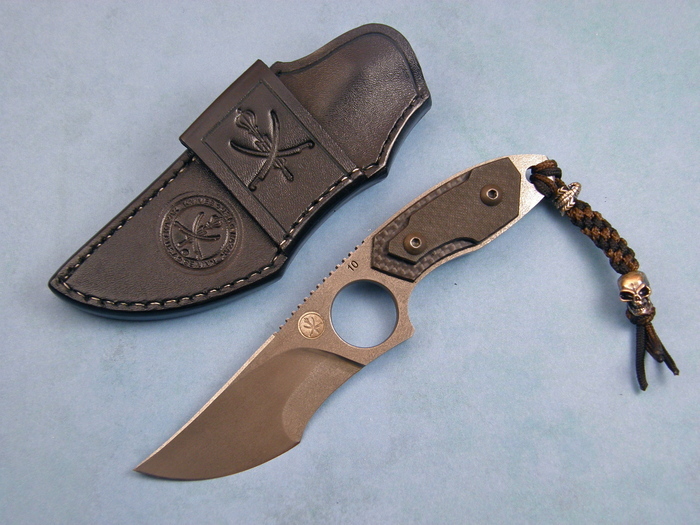 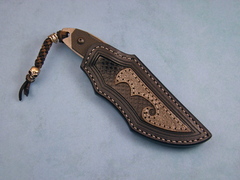 It has a great leather sheath sewn with stainless steel wire by the maker as well.